Millbrook Farmers' Market : locally-grown, fresh produce (including organic), plants, prepared foods, farm products, and other hand-made goods are showcased in an open-air setting. May - October. Cary Institute of Ecosystem Studies : 1,924 acres, public walks and talks, ecology programs, nature trails and scientific seminars. Grounds are open seasonally, from April 1st to October 31st: sunrise to sunset. Millbrook Vineyards & Winery : Consistently rated as one of the top New York State wineries by wine critics and consumers alike. Specializing in classic French varietals like Chardonnay, Cabernet Franc and Pinot Noir. Innisfree Garden: Chinese style tea garden with a 40-acre lake, surrounded by cliffs, low hills, waterfalls and streams. Walking trails. Wethersfield Gardens: Wethersfield was the country estate of Chauncey Devereux Stillman and was opened to the public in 1989 for open space and scenic enjoyment. Wethersfield occupies 1,200 acres in Northeast Dutchess County and consists of Wethersfield Main House, Gardens, Carriage House, and Farm. 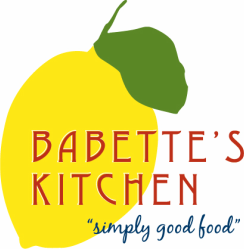 © 2016 Babette's Kitchen LLC. All Rights Reserved.